Avengers: Endgame may not have arrived yet, but it’s possible we know the fate of one major character. Clint Barton survived the initial snap, and it looks probable he may survive the events of Endgame too, as a Hawkeye series is in the works at Disney+. 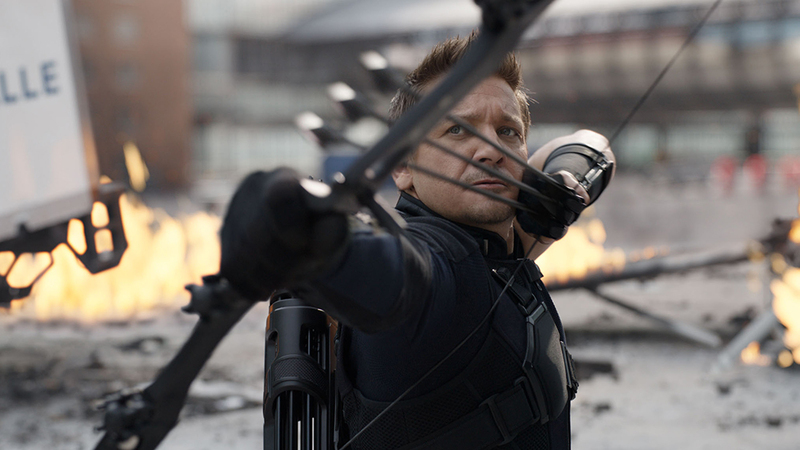 Variety reports that Jeremy Renner is set to reprise his role as the arrow-shooting hero for the streaming platform. This show will join previously announced Marvel titles such as The Vision and Scarlet Witch, Loki, and Winter Soldier/Falcon. MCU head Kevin Feige has already confirmed that these shows will tie in to the post-Endgame world in a significant way, so it seems unlikely that the Hawkeye series is being designed as a prequel or something similar. As for what the Hawkeye series will contain, Variety mentions that the show will see Clint passing the torch to Kate Bishop, a Marvel Comics character who eventually took up the mantle of Hawkeye and was part of the superhero team Young Avengers. It’s also possible that Clint’s daughter takes over the Hawkeye mantel, but the Barton family’s fate is still up in the air. Each Disney+ series is expected to run between six and eight episodes, and Feige has confirmed that they will have a much larger budget than the previous Marvel shows. The shows are being designed as limited series, but they likely have the possibility of renewals depending on their success and the actor’s schedules. It’s unlikely any more news leaks out before Avengers: Endgame arrives in cinemas on Friday, April 26. After that, expect a deluge of Disney+ Marvel-related announcements.